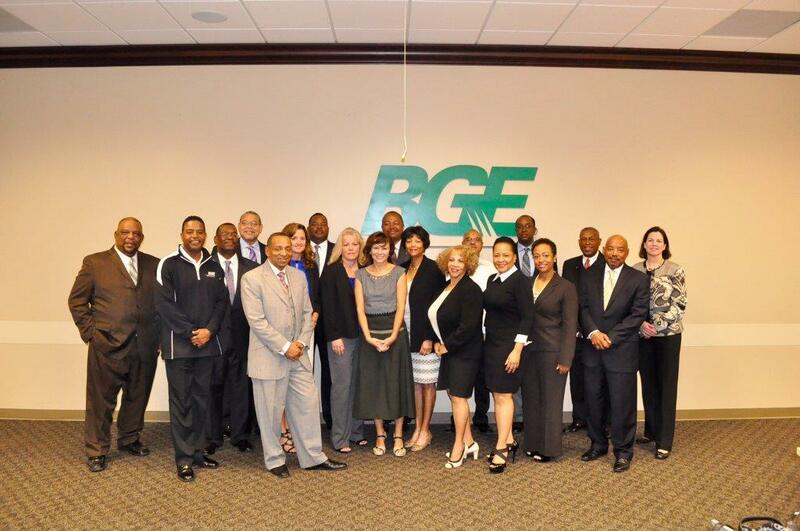 Baltimore Gas and Electric (BGE) an Exelon Corporation, held its commencement ceremony for its second Focus 25 class on Monday, September 28, 2015. Calvin G. Butler, Jr., CEO of BGE, and M. Bridget Reidy, Senior Vice President and Chief Supply Officer of the Exelon Corporation, presided over the commencement and extended well wishes to graduates. BGE has been a part of Maryland’s communities since the 1800s, and is currently Maryland’s largest gas and electric utility, serving over 1.2 million customers. It’s commitment to philanthropic giving, civic engagement, volunteering, and strong partnerships is monumental that has touched a multitude of lives over the centuries. Several years ago BGE, under the new leadership of Calvin G. Butler, Jr., established Focus 25 for the purpose of developing relationships with Maryland’s minority-owned, women-owned, and service disabled veteran-owned business communities. The wisdom in creating this empowering program would ensure BGE has access to a talented diverse supplier base that ultimately reflects its customer base. Furthermore, Focus 25 provides training and development to diverse suppliers to assist them in successfully competing for scalable contracts by educating firms on safety, bidding, relationship building, and mentoring to name a few empowering attributes. Since creating Focus 25, BGE has received strong interest from deserving diverse suppliers to be admitted to a class of no more than nine slots. • A defined and functional management structure to accommodate and support new business opportunities. Focus 25 provides a unique educational opportunity to diverse-certified suppliers to learn firsthand from key BGE decision makers about what they need to know and what they need to do better to compete for sourcing opportunities and ultimately grow their business. “I applaud Exelon Corporation for being so inclusive and backing the only supplier diversity inclusion/educational program in the entire Mid-Atlantic region and perhaps the nation. They understand the power that lies within a major corporation’s influence to create change and good that uplifts families of the deserving firms that just need a break. Thank you Exelon for coming to Maryland and showing us how great corporate leadership is supposed to be accomplished,” said Wayne R. Frazier, Sr., President of Md. Washington Minority Companies Association. To learn more about Focus 25 and if you believe that your company qualifies for admission, applications are available at: https://www.bge.com/doingbusiness/supplierdiversity/pages/default.aspx beginning January 1, 2016.